Shen doesn’t like to share anything – especially not his yummy pears! Can a hungry beggar teach him a little kindness? 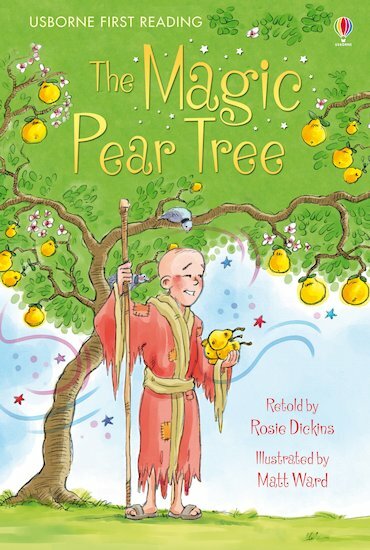 A delightful book which retells a Chinese folktale in rich, vibrant artwork and carefully-levelled text. Presented in a hardback gift edition with a ribbon marker, it supports Level Three of the Usborne First Reading series, for developing readers who are growing in confidence.